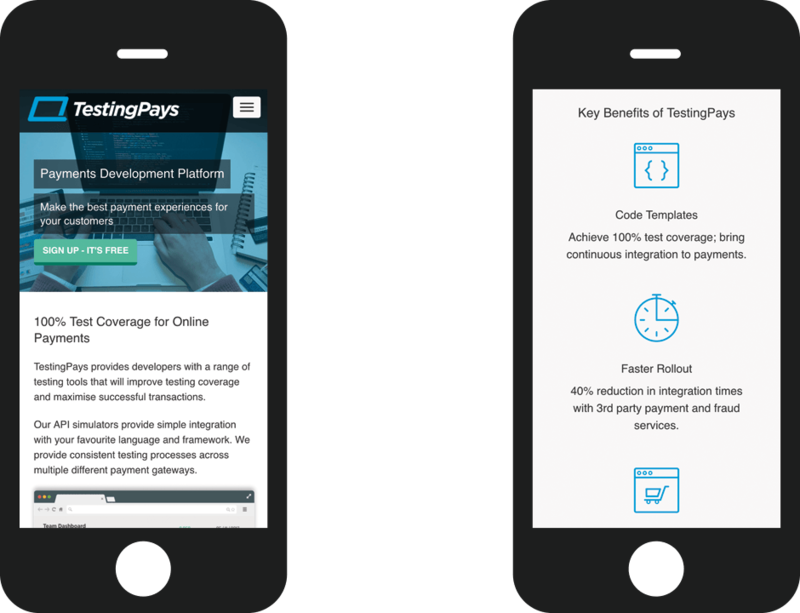 TestingPays is an innovative platform that can significantly improve the efficiency of complex payments development. The Payment Works develop tools and resources aimed at the global Payments Development software industry. 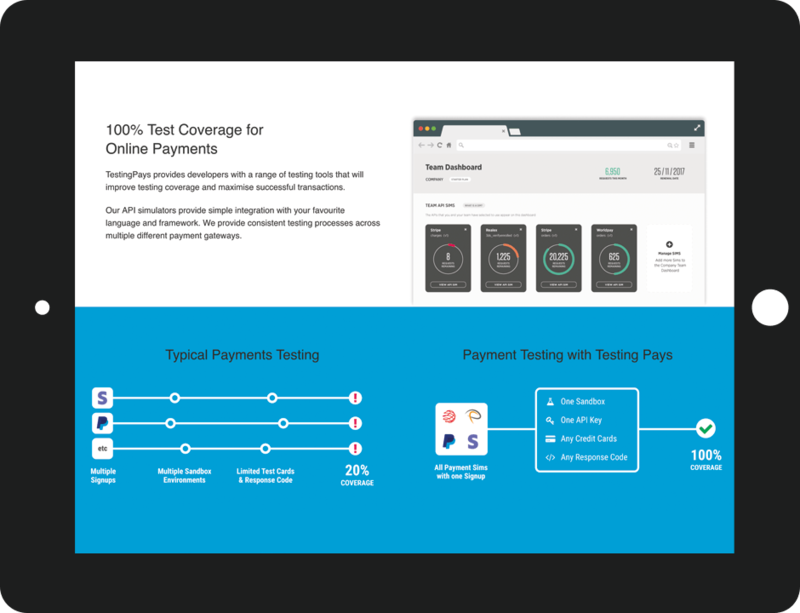 Having collaborated with Eyesparks on a previous project, their team was keen to engage our UI/UX specialists when it came to designing their flagship product, TestingPays. We worked closely with The Payment Works to gain an intimate understanding of their users and the efficiencies TestingPays brings to their workflow. We designed an intuitive graphics-driven user experience that helps streamline development and enables thorough testing of payment processes. Once the UI/UX was solved, our web designers created a website that conveys key benefits and encourages free sign up.